Bolide Software, Multimedia Software Development Company, is now launching a new version of its breakthrough multilingual movie organizer All My Movies capable of cataloguing your Blu-ray discs, DVDs, CDs just like that. Bolide Software announces the release of the new version of its award-winning movie management organizer All My Movies which major goal is to help users catalogue movie collection quickly and easily. In version 5.6 the developer introduces some splendid options which make the process of using the program even more exciting than before. The new version expands export opportunities, as well as simplifies and improves working with Name Directory section - now customers are welcome to add name's rating and do the sorting accordingly. This is the option which seems to appeal to most users - all sorts of evaluation and rating are invariably in demand among program's users. "All My Movies is constantly developing and improving in the direction much determined and influenced by its users themselves - their wishes and suggestions are always welcome!" says Max Smirnoff, CEO of Bolide Software. "Customer-oriented nature of software development seems to be the golden rule of a successful cataloguing application and All My Movies is fully aware of it". More and more customer-appreciated and desired features like editable templates, custom fields, the ability to add your own screenshots, the ability to play the movie right from the program are added regularly to the program's options making its users feel like co-partners of Bolide Software and co-developers of All My Movies software. Surprisingly, in spite of the program's high functionality, All My Movies is really easy to use in everyday life. Adding new movies is fun as it doesn't require any efforts except typing the movie title in the title field. The rest of work is done by the program automatically by picking up data from popular online databases like Amazon.com, IMDb.com, etc. The program's interface is impressive and is easily adjustable to user's most sophisticated needs. The DVD collection organizer like All My Movies is going to be of great need for all movie lovers and DVD rentals especially. It's an intelligent tool for making inventory of your movie database and keeping accurate track of loans. Bolide Software is a provider of multimedia products and software for those keen on collecting movies, books, images, songs. Founded in 2003 by Max Smirnoff, Bolide Software has launched several best-selling projects, including All My Books, Image Comparer, Audio Comparer. 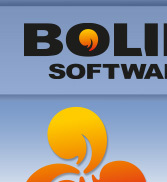 For more information visit Bolide Software official site.